Exciting times in travel! Not only is it the peak selling time but it's also our special promotion period. 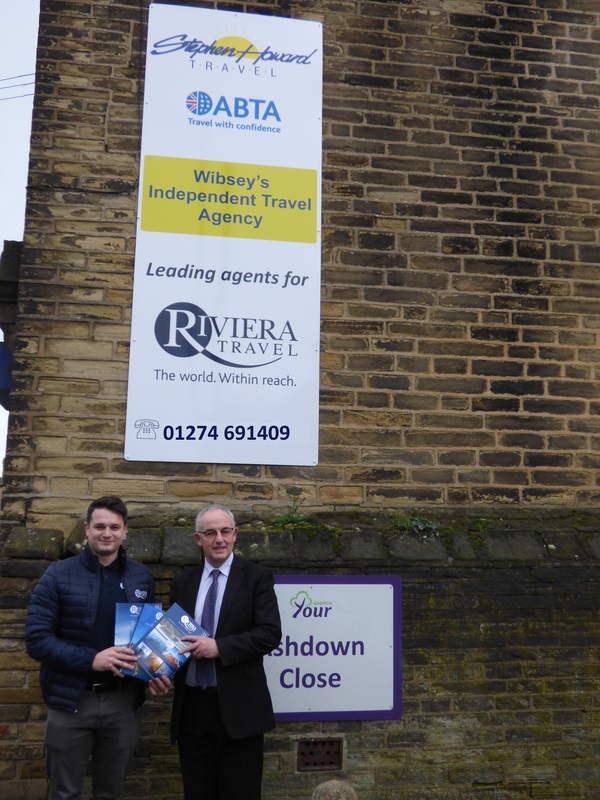 Yesterday we were visited by Tom Morgan from Riviera Travel who was able to pass on his extensive knowledge about their excellent tours, river and ocean cruises to interested clients. In the coming weeks we will be having visits from Great Rail Journeys, Jet2 Holidays and Attraction World. The details are all available in our newsletter, website, Facebook and shop window. Even if you're not at the point of booking your holiday but would like to know more it's well worth popping in to find out what is new. And along with our free Goody Bags you also get a chance to enter into a draw for a £100 holiday voucher! For anyone who books on the promotion day there is usually an additional incentive or discount offered by the company as well as our complimentary Fast Track and entry to the Yorkshire Premier Lounge for holidays of £650 or more per person departing from Leeds/Bradford Airport if booked before the end of February.